As the film industry descends on the French Riviera for the 71st Cannes Film Festival, luxury brands are aligning with the event through placements and promotions. The Festival du Cannes, running from May 8 to 19, is the most prestigious film festival held around the globe, and will see numerous premieres of movies from notable cinematic talents. 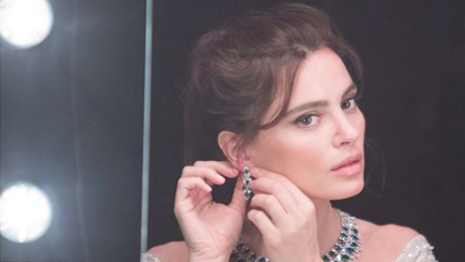 From celebrity dressing and events to content campaigns, brands such as Dior and Chopard are looking to gain attention from both the on-site attendees and followers at home. "There are three reasons why luxury brands are attracted to Cannes," said Al Ries, chairman of marketing consultancy at Ries & Ries, Roswell, GA. "They hope to generate some publicity from the festival, they hope to gain future placement in motion picture productions and they hope to attract celebrities to wear or use their products." Unlike many other film festivals, attendance at Cannes is restricted to industry professionals, including PR and press. Sponsors of this year’s event include Kering and Chopard. During the festival, Kering is continuing its conversation about female representation in film through the fourth edition of its Women in Motion talks. Stars including Carey Mulligan, Diane Kruger, Robin Wright and Chris Lee will discuss their experiences. As the #MeToo movement continues to gain ground in the film industry, these talks reflect the current zeitgeist. Kering will also be giving out two awards to women in film. “Wonder Woman” director Patty Jenkins will be receiving the Women in Motion award, while director Carla Simón will be honored with the Young Talent Prize. Chopard is once again creating Palm d’Or statues that will be given out to those who win the jury selection for the Grand Prix and Jury Prize, as well as the winners of the best screenplay, best director and best short film categories. In honor of its placement at the festival, Chopard created a film series around Cannes. Titled “Cannes is in the Air,” the shorts feature Catrinel Marlon and Robert Konjic who play a couple destined for the festival. Produced by Bellep Films, the episodes begin in Paris and end in Cannes, as the protagonists hit the red carpet. Also returning for a placement at the festival is Rémy Martin. For the 15th year in a row, the cognac brand will be the official supplier of Cannes. 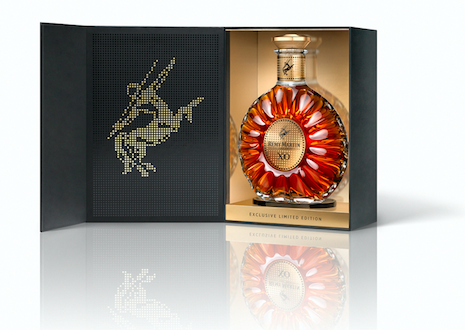 In honor of this occasion, the spirits maker has created a limited-edition version of its XO bottle. A series of golden dots reference the marquees of cinemas in years past. Along with sponsorships, a number of brands are looking to gain attention through some of the festival’s stars. Elie Saab and Dior have set up hotel suites to cater to the celebrity crowd. Elie Saab’s focuses on gowns, while Dior has set up a beauty hub where stars can get custom makeup looks. Giving consumers access to the exclusive festival, private aviation firm Deer Jet created a week-long trip for a select group of travelers, allowing them access to red carpets and VIP soirees. Originating in Beijing, the trip also includes stops in Nice, Avignon and Provence. Luxury brands often take advantage of the influx of travel to Cannes for the festival for product launches. Christian Dior opened a flagship in Southern France's Cannes, just as the 69th International Cannes Film Festival kicked off. The new flagship at 7 Boulevard de la Croisette overlooks the entry to the Palais de Festival across the street, where celebrities and filmmakers would walk the red carpet. Dior has had a presence at Cannes since 1956 when actress Michele Morgan wore the brand’s gown on the festival’s red carpet, a first for the house (see story). Others have taken quirky looks at the Cannes experience, bringing along global audiences for the ride. Couture label Elie Saab brought consumers along for the ride at the 69th Cannes Film Festival through a series of playful content. The brand’s #WhatHappensInCannes (StaysInCannes) campaign took a humorous look at the starlet experience at the festival, covering everything from the grueling styling process to the French Riviera lifestyle. While other brands may be highlighting their own red carpet dressing throughout the star-studded affair, Elie Saab’s quirky take may have helped it cut through the noise (see story). "Except for the celebrities the Cannes festival attracts, the audience does not represent much of a market for luxury labels," Mr. Ries said. "Rather, it's the publicity the festival generates that can help luxury brands. "Today, you win with PR, not with advertising. So every brand, including luxury brands look for opportunities to generate PR," he said. "And the Cannes Film Festival is famous around the world and attracts many magazine and newspaper editors and reporters. "But it's not enough to just show your brand at the festival. If a luxury brand wants to create some positive PR, it needs to do something new and different."